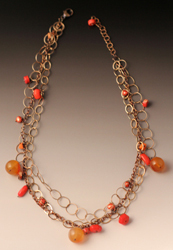 Julie Shaw has been designing and crafting exquisite jewelry for over 30 years. 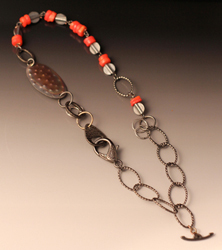 Using oxidized sterling silver accented with 14K, 18K and 22K gold, her creations are then magically transformed by a patina that enhances unique agates, Jaspers, opals and other precious stones. 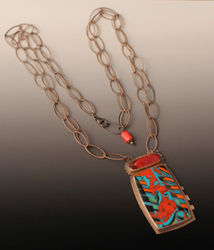 Inspiration for Julie's original designs comes from many sources, including her spiritual connection to nature and travels to ancient and sacred places around the world. 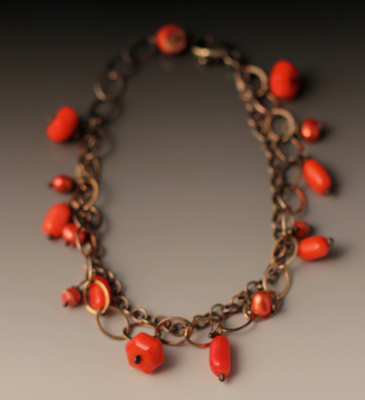 Bring the beauty and power of this truly wearable art into your life. 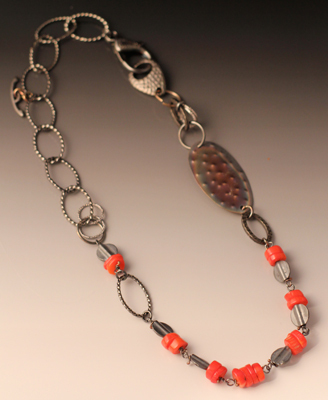 with coral, 24". . . . .$360. pearl, 7" with 1" extender. it 30"long. . . . .$284. with large lobster clasp pictured twice. Can also be worn as a braclet $284.